I met up with Jami, Shanna and Matt in PNU after work on Wednesday. We had Japanese ramen and afterwards we stopped here for a smoothie. Places like this are very common. The fruit for the smoothies is pre portioned out in cups. You just pick a cup and they make you a delicious smoothie. 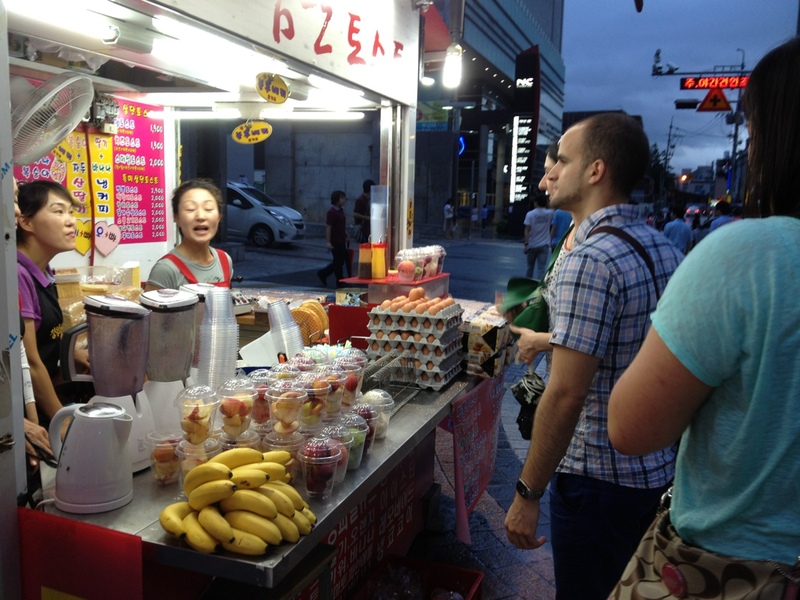 This stand also sells waffles and they gave us a free one. They spread whipped cream and honey on it and then fold it over. They are quite tasty.